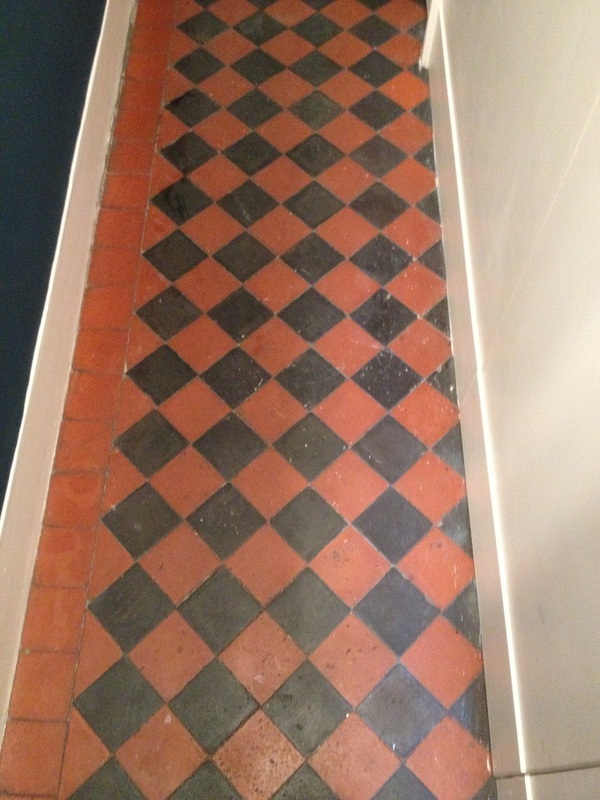 This Edwardian period tiled hallway floor at a house in Teddington, Middlesex was in need of a deep clean and removal of paint marks following a year of building work. Initially the floor was cleaned using a medium dilution of Tile Doctor Pro-Clean which is a strong alkaline cleaning agent; it’s applied with a mop and left it to soak into the floor for five minutes before being scrubbed into the tile with a rotary scrubbing machine fitted with a scrubbing pad. Pro-Clean was also used along the grout joints but scrubbed in with stiff brush by hand. The soil was then washed off and removed with a wet vacuum. Whilst this process did clean up the tile and grout it didn’t remove the paint marks so the next step was to target those area’s with Tile Doctor Remove and Go which is a coatings remover and as its name suggests is good at removing pretty much anything. Once the floor was clean it was thoroughly washed down with clean water partly to remove any further soil but also to remove any trace of cleaning products before sealing, again the wet vacuum was used to remove the liquids and get the floor as dry as possible before leaving for the day. 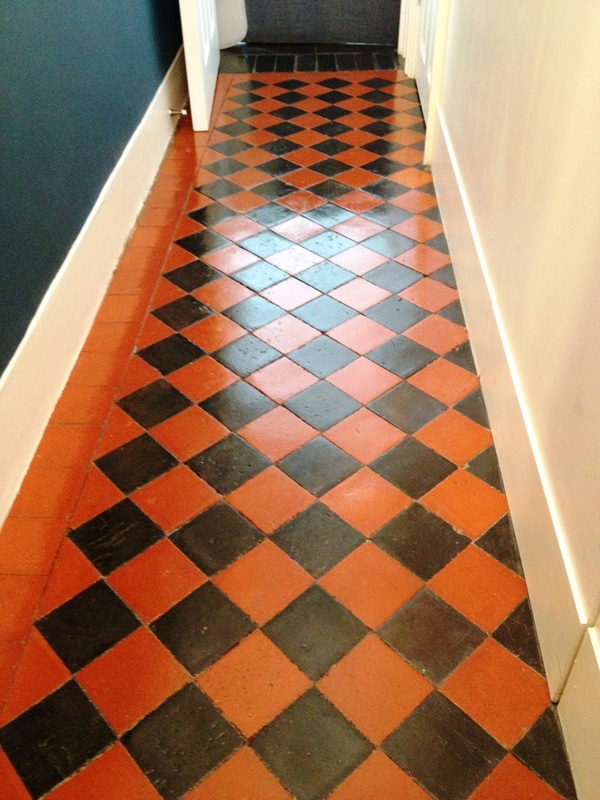 The next day the floor had dried so I proceeded to seal the tile with four coats of Tile Doctor Seal and Go which is the recommended sealer for Victorian Tile, providing good stain protection whilst adding a nice sheen to the surface bringing out the colour in the tile. We service Teddington and the surrounding areas for all types of natural and man-made stone flooring, please get in touch for a free quotation.